“Harmon’s Fantasy Online is an absolute masterpiece! With incredible depth and lifelike characters, this book had me breaking out in laughter on more than one occasion! Drop whatever you’re doing and buy this book! You won’t regret it!” —Luke Chmilenko, author of the Ascend Online series. 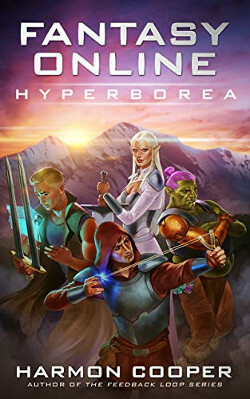 “This is one of the few LitRPG novels where I thought the real world storyline was as interesting as the game one.” — Ramon Mejia, author of Adventures on Terra and host of the Geekbytes Podcast. “The futuristic, adult-rated, JPRG universe gamers have been waiting for; sure to take the LitRPG genre by storm!” –Apollos Thorne, author of Codename: Freedom.